Drunken conversations breed bad ideas. “Watch me climb this tree”, “Let’s go streaking”, or “We should buy a bar!” are but a few of the horrible flashes of genius that can pop into existence whilst inebriated. I must admit, I’ve had my fair share, most of which I refuse to share out of pure embarrassment. However, it has been said that an infinite number of monkeys typing on an infinite number of typewriters will eventually create Shakespeare, thus, out of those thousands of really poor ideas, a brilliant one sneaks through. Nick (from chasingale.com) and I had one of these rare bright moments a few months back to do a joint blog post involving blind tasting. It took those few months of sober discussion to hash out the details, but we finally came up with a concept that we found exciting (and we hope you do, too). The layout itself is fairly simple: We each buy the other 5 beers of a certain style. One of these 5 is agreed upon beforehand and is one we consider a good benchmark for that style. The remaining 4 are unknown to the other with the stipulation that one of those has to be from a so-called “crafty” brewery. Once purchased, Nick blind tastes my selection and I blind taste his. 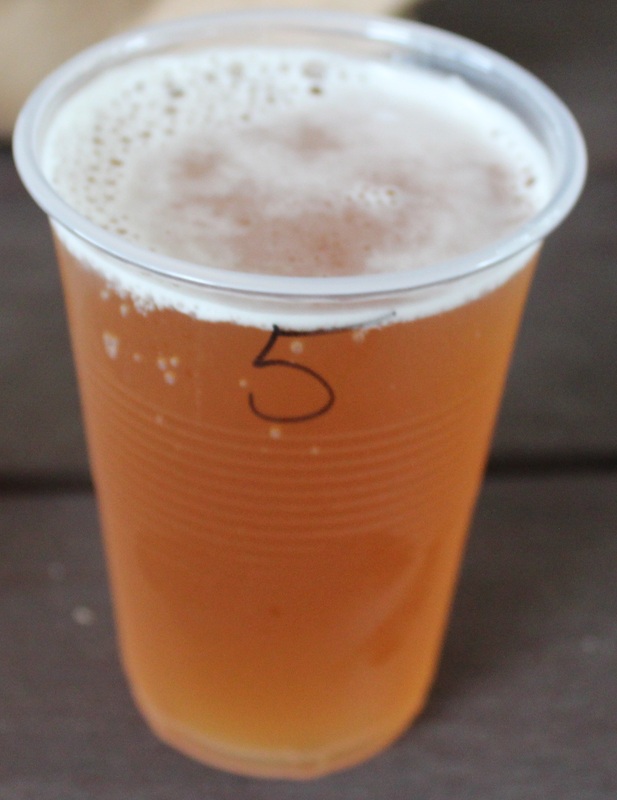 For our first round, we decided that we would blind taste the tried, tested and true, Pale Ale. 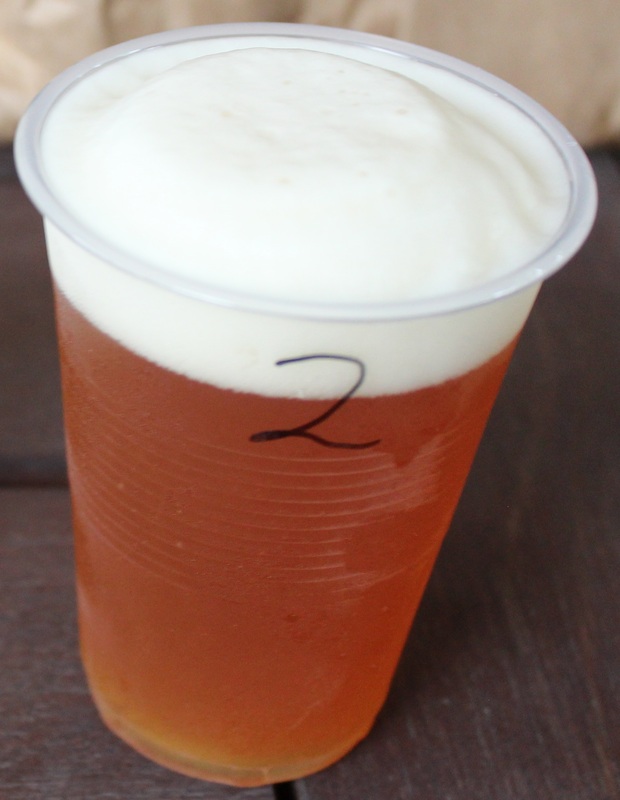 This style tends to be many peoples first foray into beer with flavour. What could be a more perfect style to start with? After a bit of deliberation, Little Creatures Pale Ale was hailed as the benchmark Pale and from there, we went on our way to purchase beers for each other. 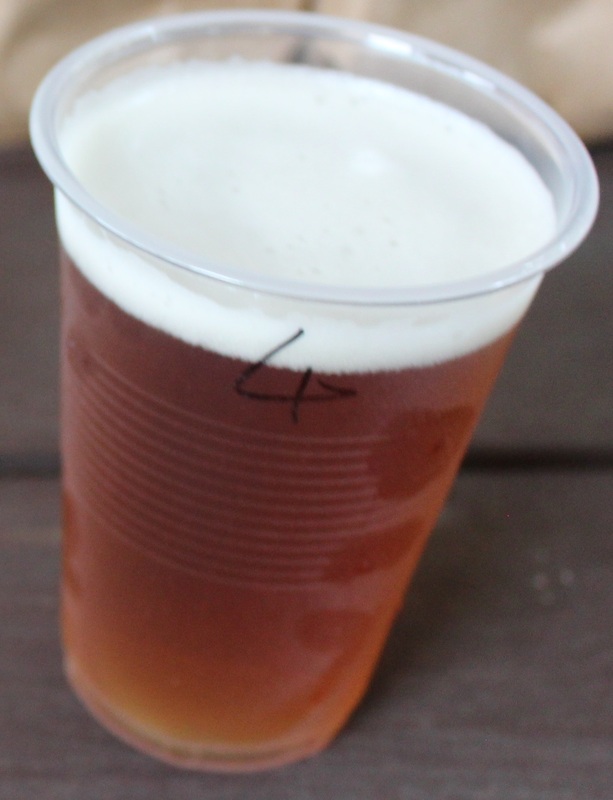 Beer 1 was a golden straw colour, and fairly clear. It had a small head with little retention and non-existent lacing on the inside of the cup. The smell was quite boring really, with a scent of grains and copper. The next cup looked a bit more promising. Beer 2 had a massive, white head on the top, and the colour was more amber bordering on copper red, which I thought a bit different for a Pale. When I see that level of froth, I expect a corresponding amount of aroma, which this didn’t give me. Cupping my hand over the top of the cup and inhaling deeply did bring about some citrus aromas though, but it was an effort. Beer 3 looked and smelled amazing. A decent head retention held rich aromas of wood, caramel, stone fruits, and melons. I had a feeling this one was going to be a treat. Next up, we had the darkest looking of the bunch. This one had a minimal head, which emitted scents of… what is this… um… baby vomit?! Uh-oh. The last of the lot was a bit brighter with some great head retention considering it had to sit and wait until I made my way through the previous 4. A very light aroma gave notes of grains and citrus. I wasn’t expecting much. 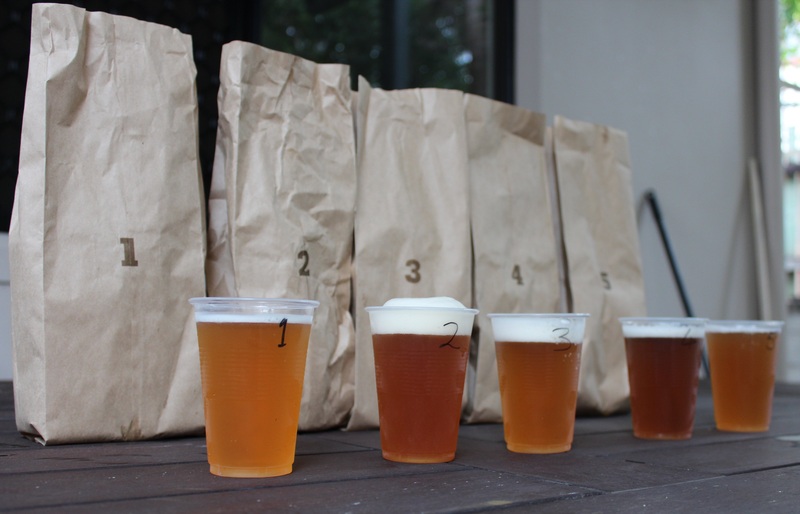 After all was said and done, the beers were ranked by preference. Given that I had quite polar opposite experiences between some of the beers, it was quite easy to place them in order from 5 to 1. With all the “hard work” out of the way, it was time to reflect a bit on these rankings. 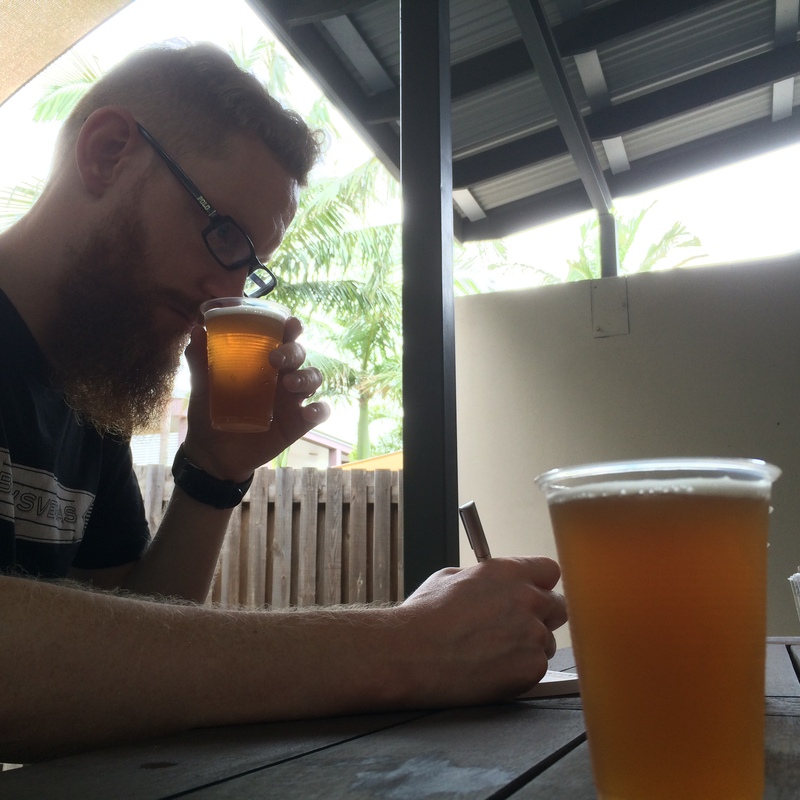 My traditional “Leaving Townsville Airport” beer didn’t rank much higher than the LC. It garnered 4th and not 5th, because I’d rather be tortured to reveal my countries secrets by being forcibly drinking the Fat Yak vs the Little Creatures I had. A lesser of two evils. I’m pretty sure I’ve passed this beer over countless times previously due to a fairly boring label. I know, I shouldn’t judge a book by its cover. It wasn’t a fantastic beer, but it wasn’t horrible either. A very middle-of-the-road beer deserves a middle-of-the-road ranking. Another beer I tend to overlook at the bottle shop made its way to the runner-up spot. 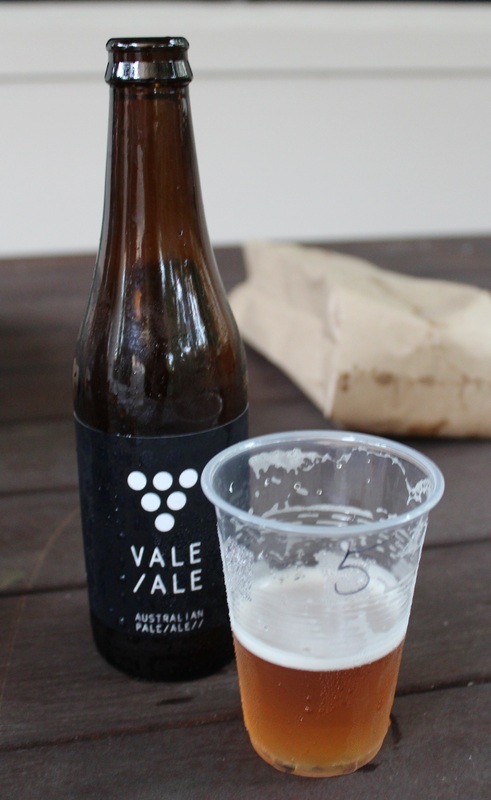 Vale made up for a corporate logo look by brewing a refreshing, crisp, clean Pale Ale. A lot has been said about Vale and their “possible nefarious practices”, but when all that is cast aside, the beer holds up. Beer #3 was the lone American entrant into the tasting and funny enough, took top spot. Maybe this speaks more to my personal tastes then to the beer itself, as I’ve always had a penchant for the American styles and flavours. The first tasting went the way I hoped it would. The beers I would have shunned before as being “bad” ranked low which goes to show my palette isn’t as bad as I may have thought at first. I won’t go over Chasing Ale’s tasting at all (you can view what he tasted/I purchased at chasingale.com), aside from one point; my Little Creatures Pale Ale ranked 5th, as his ranked much higher. 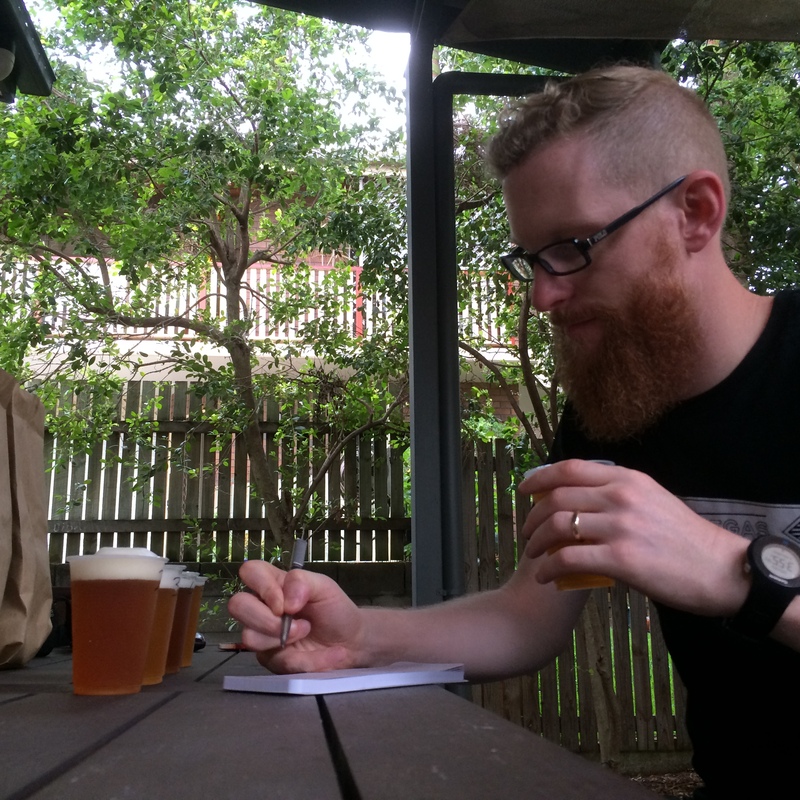 We sampled the two side-by-side post-tasting and there was a considerable difference. Our conclusion on the noticeable difference boils down to storage. The bottle I bought for him was purchased at Malt Traders down in the CBD, as the one I sampled was purchased at a BWS. You hear stories about pallets of beer sitting in the sun for hours before being putting away in places like Dan Murphy’s and other Woolworths/Coles owned bottle shops, and this is just another piece of anecdotal evidence to support it. 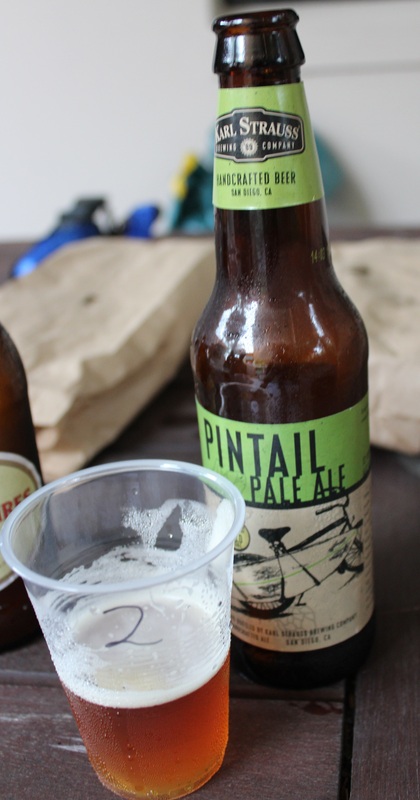 Small, independent bottle shops, such as Craft Red Hill or Malt Traders will take care of their stock from the moment it leaves the truck to the moment it leaves the front door. Proper refrigeration and minimizing sunlight exposure are something these shops recognize as essential to maintaining a beer’s flavour. Good beer fans will also go to these locations specifically for good beer and their stock levels are considerably lower, so turnover is high, keeping the freshest stock on the shelves. The big chains are (mostly) just unable to keep on top of that. This tasting will be the first of many. It really was a lot of fun and a great reason to have a few beers on a Sunday afternoon. 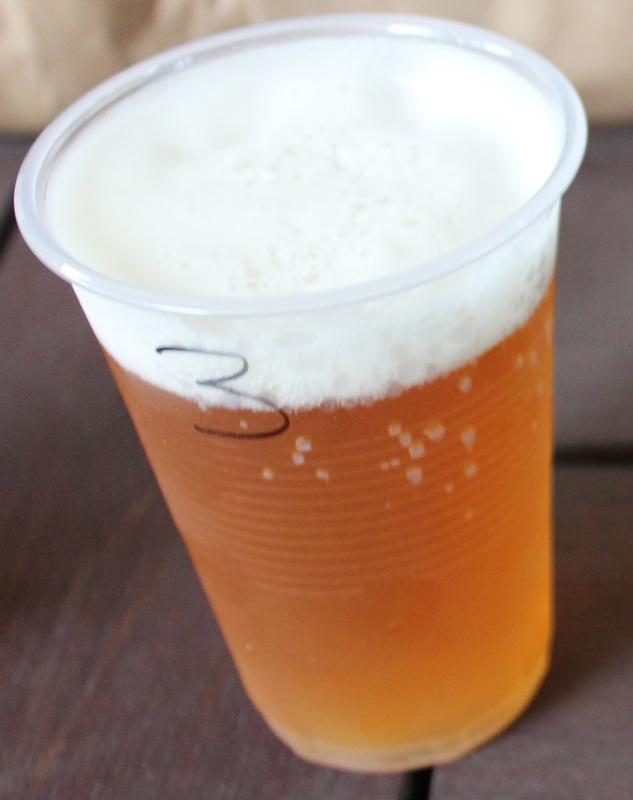 Next edition will feature a beer that is very close to Chasing Ale’s heart: the Pale Lager. 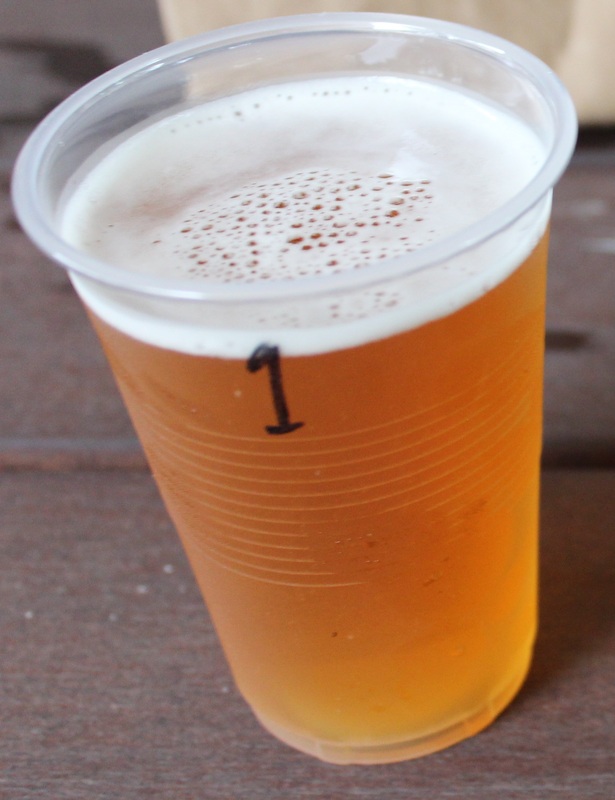 If there is a really good or really bad lager you believe should make its way into the tasting, or there is a one you feel sets the standard, let us know via the comments section or on social media! If you haven’t read Nick’s review yet, check it out at www.chasingale.com. Nice review! Shame about the LC, i think you’re right it must have been spoiled.